Standing in the bread aisle can be daunting. There are hundreds of bags of bread just staring at you with their enticing marketing ploys…whole wheat, extra fiber, no preservatives, and on and on. But which one is truly healthy for you and your family? Here are a few tips. 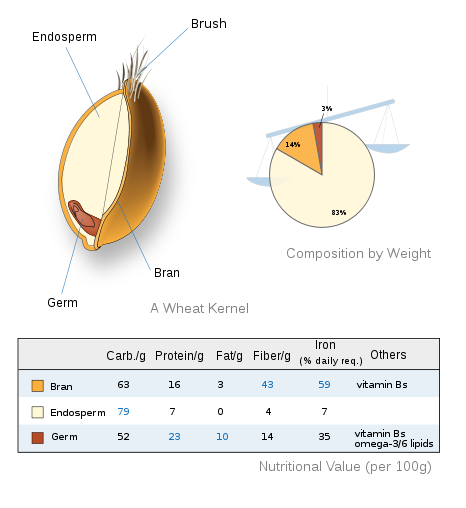 Whole grain has the entire kernel of the grain from the bran to the endosperm to the germ. Whole wheat has the bran and germ removed during the refining process and is left containing only the endosperm. Unfortunately, the majority of vitamins and fiber are contained in the wheat bran and wheat germ that is shed during the refining process. Whole grain is lower in fat than whole wheat. It also contains all of the fiber, iron and B vitamins that nature intended because it does not go through a refining process. In fact, the refining process strips away half of the vitamins, calcium, iron and fiber from whole wheat products.